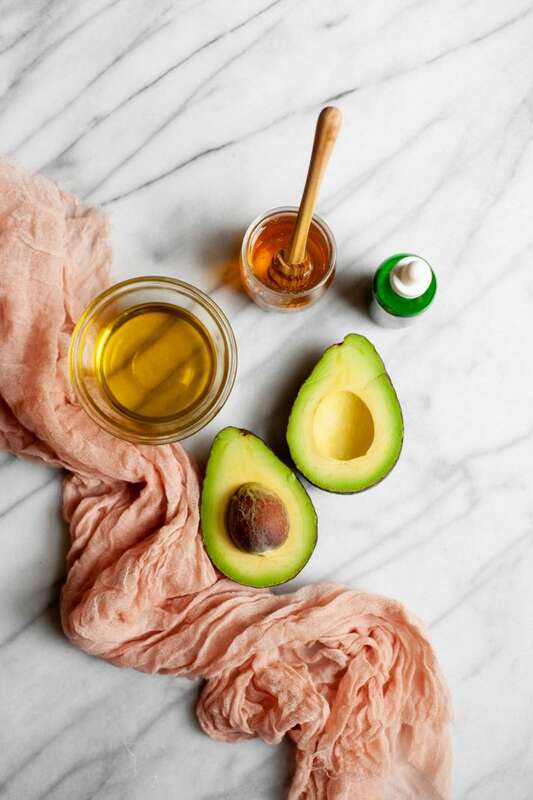 When it comes to nourishing the hair and preserve its beauty, avocado oil is normally the ingredient to go. It is easy and practical to apply, it doesn’t weigh in and it does the job just right. Nevertheless, this oil only has a fraction of the nutrients of this fruit. The pulp is where the good juices are concentrated but, due to its texture, it is normally used in the form of avocado hair masks. What can avocados do for your hair? Avocado hairs masks are becoming increasingly popular. They are easy to prepare and, even if the application can be a bit messy, the results they provide leave room to no doubt regarding their efficiency… at least empirically. There are no studies to date ascertain the efficiency of this fruit for the hair. Nevertheless, the effects of avocado oil for hair have already deserved some attention from researchers. Since the oil presents a lesser concentration of nutrients than the pulp, it’s only fair to assume that the perceived effect of avocado hair masks is indeed real. Avocados seem to be rich in all the right nutrients for the hair. It contains fatty acids, vitamins A, B6, D and E, all necessary to support the hair’s core matrix, antioxidants that prevent the damage caused by free radicals and it also has a great source of water which, combined with remaining nutrients, works as a natural moisturizer. The avocado pulp has a high content of fatty acids. You might also know them as omega-3 and omega-6. These acids can be beneficial for hair growth in more than one way. When they are absorbed by the hair strands, they nourish them deeply while reinforcing their elasticity. This gives the hair a more lush and bouncier look, while reducing the risks of breakage. Fatty acids also have an anti-inflammatory effect, that will help to soothe the scalp and treat any irritation that could potentially trigger hair loss. Eating avocado is also beneficial as the fatty acids support and enhance the performance of the liver, which is responsible for filtering and cleaning any toxins from the blood. When the liver is overwhelmed, these negative compounds can make it to the hair follicles and affect their well-being, thus disrupting hair growth. Although you can apply the avocado pulp directly into your strands, it is used mostly used as part of a recipe. Due to its texture, it’s not easy to spread it evenly on the scalp and hair. Adding a more liquid ingredient to the recipe allows for an easier blend and application. The added ingredients aren’t picked randomly either. 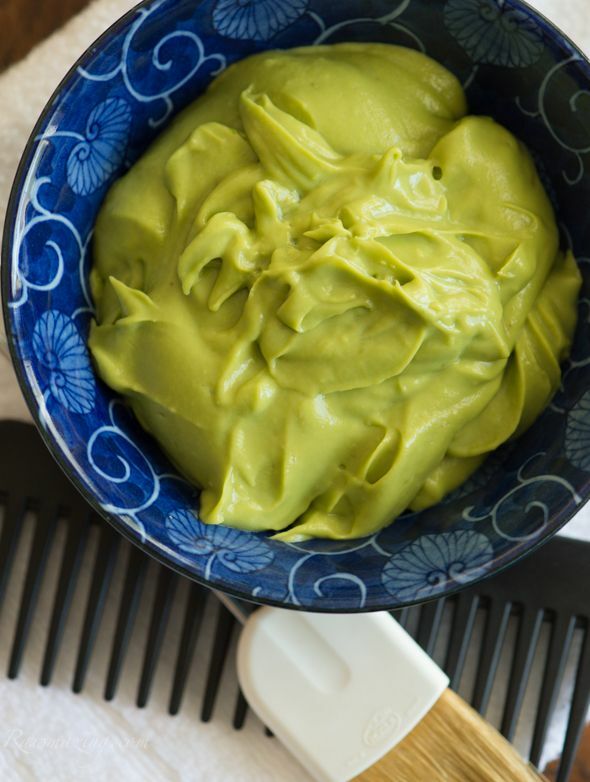 Avocado hair masks traditionally include other natural foods, such as olive oil, which are also very beneficial for hair. 2-3 drops of lavender essential oil. 1. Use a blender or a stand mixer to blend all the ingredients together until achieving a creamy and smooth paste. 2. Apply the mixture onto damp hair. 3. Tie your hair in a high bun and put on a shower cap. 4. Blow dry your hair over the shower cap for 15 minutes to warm the hair mask and enhance its absorption. 5. Rinse and wash your hair normally to remove the mask. 2-3 drops of lavender or jasmine essential oil (optional). 1. Blend the banana and the avocado pulp until reaching a creamy paste without lumps. 2. Add in the olive oil and the essential oil (optional) and mix all the ingredients together until you have a uniform paste. 3. Apply the mask to damp hair, and focus particularly on the hair ends. 4. Tie your hair up, put on a shower cap and let the mixture sit for 15 minutes. 5. Wash and condition your hair as usual. 1. Blend all the ingredients together until having a creamy and smooth paste. Make sure there are no lumps. 2. Apply the mask to clean hair, either dry or damp. Divide the hair into strands for an easier application and focus particularly on the ends and dry areas. 3. Let the concoction sit for at least 1h. 4. Rinse the mask off thoroughly. 1. Blend all the ingredients until achieving a uniform mixture. 2. Apply the mix onto damp hair. 3. Let the mask sit for 15 to 20 minutes. 4. Rinse and wash your hair as usual. 1. Blend all the ingredients thoroughly until achieving a creamy paste without any lumps. 2. Apply the mixture to dry or damp hair, starting from the ends towards the roots. 4. Rinse until the mask is completely removed. The key to the aforementioned avocado hair masks recipes is in the avocado pulp. As long as you have your base, you can add and mix other ingredients that could target specific issues you might have too.